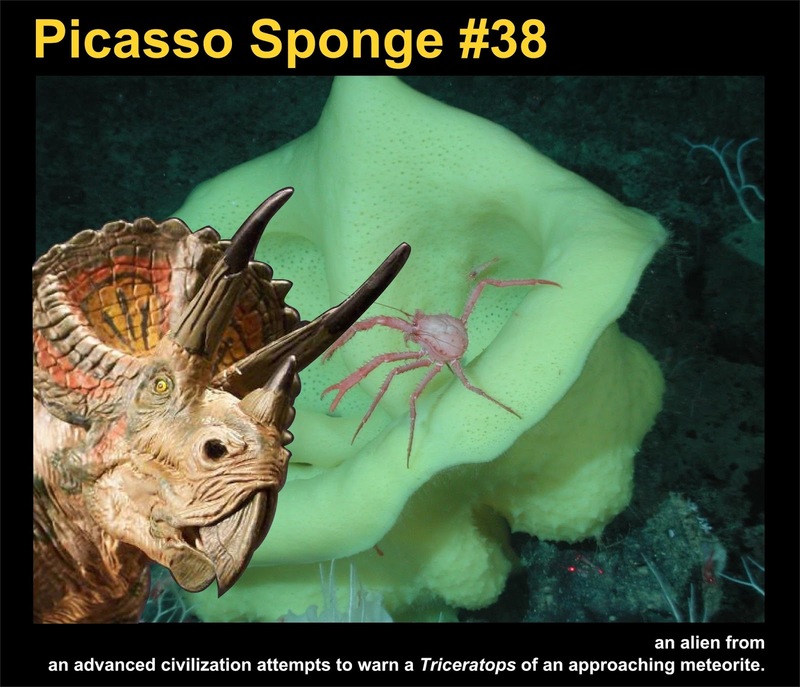 This Picasso Sponge depicts an alien from an advanced civilization attempting to warn a Triceratops of an approaching meteorite. What's he going to do if he DOES understand, run away? I don't know. Make peace with his enemies? Spend his last moments with his family? Raid the local convenience store for survival supplies? Eat some vegetation? You know, apocalypse stuff. @TexWisGirl: You hardly have to even squint! @Crunchy: Yeah, doesn't look like it's gonna turn out well. 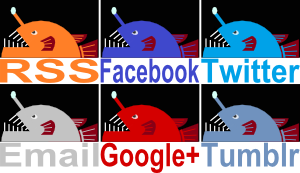 @Lear's Fool: I guess we'll never know. I bet there's a great song about a pre-apocalyptic aquatic triceratops out there.